A quiet but very powerful group has been operating at St. Francis parish for the past four years. 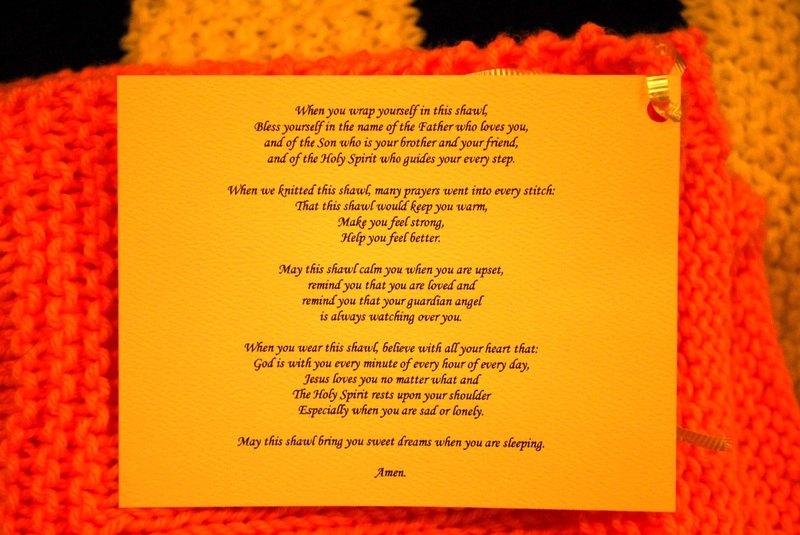 Called the Prayer Shawl Ministry, it provides knit or crocheted shawls and lap robes to those afflicted with a physical ailment or undergoing an emotional crisis. Since the program began 129 shawls have been given out. Shawls have been presented to those who are being treated for cancer; those who are terminally ill; babies born with abormalities; people suffering from depression; and those suffering dementia and Alzheimer. Many have been taken to people in hospitals and nursing homes when representatives of the St. Francis Outreach visit. Knitters meet once a month (at 7 p.m. on the second Monday of the month) in the chapel to spend an hour in silence while praying and working on the shawls. When each shawl is completed, it is blessed by those present with a prayer that God heal the body and comfort the mind of the recipient. 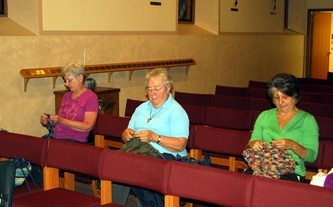 Those in the knitting group continue to keep recipients in their prayers and the names of recent recipients are read aloud as a reminder. 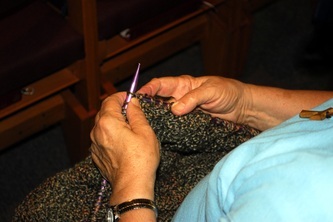 The ministry began in 1988 when two women, graduates of the Women’s leadership Institute at Hartford Seminary, combined their love of knitting and this spiritual practice. Since then, the practice has spread throughout this country, offering consolation and compassion to those who receive a shawl and satisfaction to those who make it. For more information about our ministry, how to join us or how to obtain a shawl to give to someone in need of comfort contact Ceil Sharp at ceilsharp@verizon.com or 639-7945.